Jonathan Emmett set up the Cool Not Cute blog a while back “to start a debate about gender bias in picture books”. That debate well and truly kicked off over the holiday weekend with lots of coverage in the national press and on the Twittersphere. I’m a picture book author and evidence shows that the literacy gender gap takes root at picture book age. I don’t think it’s a coincidence that this is the same age at which female reviewers are most dominant. While the gender balance of picture book authors and illustrators matches that of the intended readership (roughly 50:50 male:female) the chain of gatekeepers that link these two groups is far from gender-balanced. In this 2013 sample, female picture book reviewers outnumbered males by a ratio of 12:1. Similarly overwhelming female to male ratios can be found among picture book publishers, infant teachers, children’s librarians and, perhaps most significantly, picture book buyers, the majority of whom are adult women. Whether a picture book is being accepted for publication, selected for use in a school or library, purchased in a bookshop or recommended in a newspaper, the people judging its appeal are overwhelmingly female. 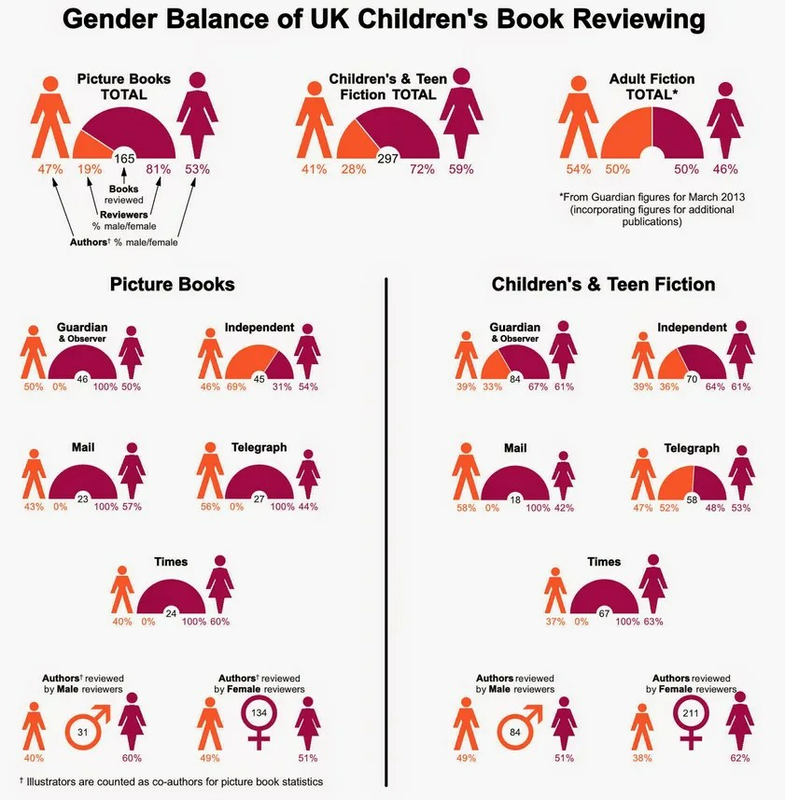 For this reason the relatively even gender split of authors and illustrators in the analysis should not be taken as showing that the range of picture books reviewed will appeal equally to both sexes. 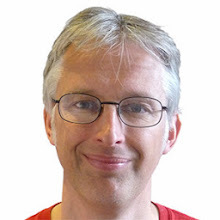 As a male author, I’ve learnt to write for a market that is dominated by female gatekeepers. Even picture books about pirates, dinosaurs, aliens or vehicles that might be characterised as having boy-typical appeal, partially reflect the tastes of the mother or grandmother that will usually be purchasing them. As a consequence, elements such as combat, technology, peril and villainy are often toned down or omitted altogether. A lot of content that’s commonly found in children’s TV, films and video games watched or played by 4-6 year olds is often deemed unappealing or inappropriate for picture books. This rejected content appeals to children of both sexes but it’s particularly appealing to boys and I think this is one reason many boys reject books in favour of these other media. I still love writing picture books and feel privileged to be able to make a living doing it – I just wish that the stories I’m able to get published could respond to boy-typical tastes as uncompromisingly as they do to girl-typical tastes. And it’s not just boys that are missing out; there are plenty of girls with boy-typical tastes who would enjoy reading these stories too. What is ACHUKA’s take on this? Mainly that the research statistics above do not amount to much and have to be understood in relation to different newspapers’ approaches to the way they manage reviewing. The Guardian and Telegraph use a mixed panel of reviewers, hence their figures appear more balanced compared with The Times and Sunday Times, who both use a single specialist (female) reviewer. I don’t see any absence of, or absence of appreciation for boy-friendly fiction for ages 7 and up. But Emmett is most concerned about picture books and the fact that nearly all those involved in the publishing of picture books are women. I would be interested to hear a response from a publisher such as Walker Books to this observation. I certainly think the children’s publishing industry would benefit from greater male participation, but then this observation is also true of education – a strong male presence is still lacking in too many primary schools. Where I have always felt that Emmett’s campaign is at its strongest is in his highlighting of the overwhelming female dominance on the Carnegie and Greenaway judging panels – but then these are awards judged by librarians, and the gender imbalance is simply a reflection of the imbalance in the profession itself. It is neveretheless worthy of being highlighted and discussed. via COOL not CUTE! : Should gender balancing the books be for adults only?. Yet my husband was fully engaged in taking both son and daughter to the library at picture book stage and “helping” them to choose. I do remember, however, that my son took an age to choose, whereas my daughter found material very quickly, though I would attribute that to peronality ratehr than gender differences. . . Thanks for presenting my argument in such a balanced way, Michael. The focus of my arguments on coolnotcute.com is picture books. I believe that the reading habit is breaking (or not even getting established) at picture book age for many children and think we need to start matching the content appeal of other media if we want to keep children engaged with reading. There is lots of boy-friendly fiction for ages 7 and up. Indeed the content of some books for older children is often edgier than that found in age-appropriate (PG or 12 certificate) TV and films. I included fiction as well as picture books in the review analysis as, having taken the time to go through all the newspapers websites, I thought I might as well collect the fiction data while I was at it. I was not surprised to discover that fiction reviewers were more gender-balanced than picture book reviewers, but was surprised to discover the greater imbalance in favour of female authors in fiction. In the main “Cool not Cute” essay on my blog I make it clear that any female bias in picture book content has as much to do with the lack of men working as infants teachers and children’s librarians as it has to do with the lack of male publishers or book award judges. All these gate-keeper groups have an influence on what’s deemed suitable for children to read. It’s a wide-rooted problem that needs to be tackled across all these areas. However I’ve argued on the New Statesman blog and elsewhere that possibly the most influential gatekeeper group is adult picture book buyers. While I know of many dads and granddads that read to their children on a regular basis, their are still relatively few that go into bookshops or libraries to select picture books. The picture books that enter the home are usually selected by mothers and grandmothers. Even when children choose their own picture books, an accompanying adult will usually have some say in what is an appropriate choice, particularly when the book is being purchased rather than borrowed. The picture book industry is a business like any other and while adult picture book buyer’s remain overwhelmingly female, the market is likely to reflect female tastes more than male tastes.